At noon on Dec. 30, protesters in central Kyiv held mirrors in front of police for 30 minutes to commemorate the night of Nov. 30 when riot police used excessive force to breakup a peaceful rally on Independence Square consisting mostly of university students. 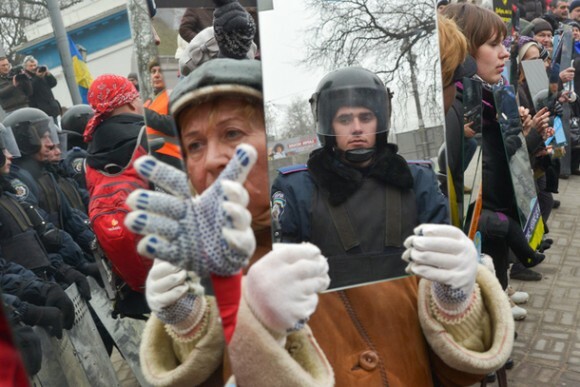 In a gesture to remind the police of their violent actions that memorable night, EuroMaidan demonstrators lined up with mirrors to show law enforcement personnel their reflections. 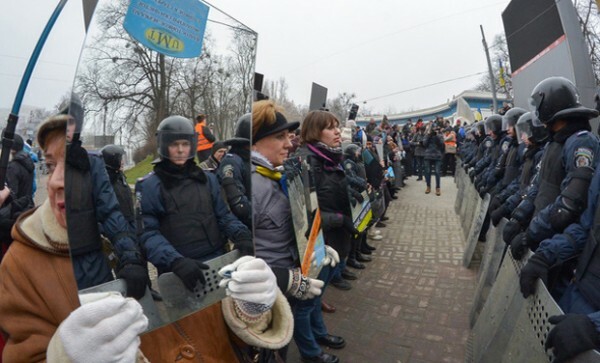 The civic demonstration took place near walkways and streets that lead to the government building district where police have been stationed. The buildings include the president’s headquarters, Cabinet of Ministers and central bank, among others. 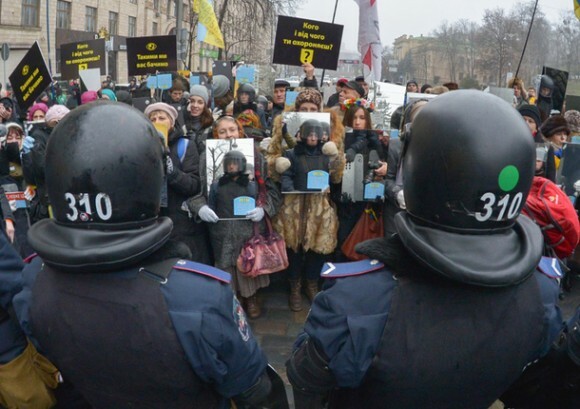 Protesters also held posters that read, “Who and what are you protecting?” in reference to President Viktor Yanukovych and his appointed government whose ouster they have called. 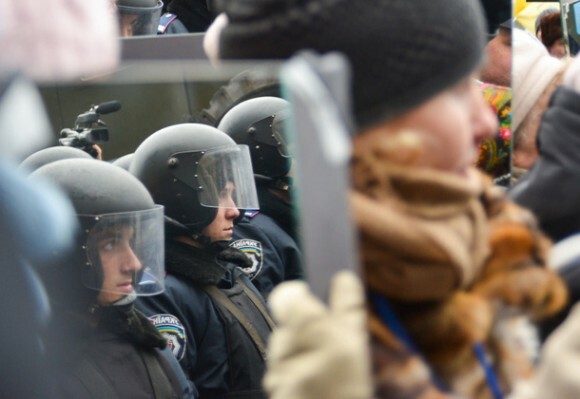 The violent dispersal of student-protesters on Nov. 30 ignited the public’s ire. 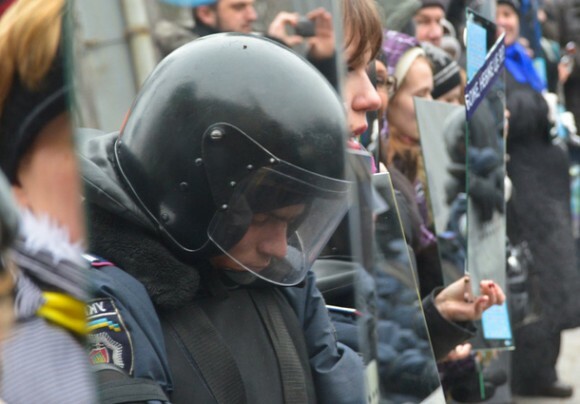 The next day, hundreds of thousands descended on central Kyiv in a show of protest over the police beatings. An encampment and barricades were erected, and three public buildings were taken over, including city hall. Yanukovych suspended three lower-level officials over the Nov. 30 incident, but many believe the ones who ultimately gave the order were not dismissed or are being investigated. The order apparently was given to make room for equipment and crew to resume work in putting up the capital’s main Christmas tree. The tree was never fully set up. Protesters instead have attached flags and banners on the metallic cone structure in place of artificial tree branches.